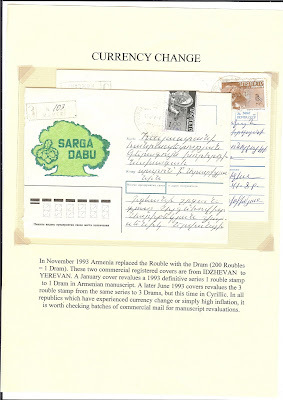 Today I am tidying up accumulations of post - 1991 commercial mail from ex-Soviet republics. There are many thousands of covers still sitting in boxes, mostly for the period 1991 - 2005. All the Belarus, Estonia, Moldova and Ukraine have been sold but I still have lots from Russia, Lithuania, Kazakhstan, Kyrgystan, Uzbekistan, Armenia, Azerbaijan, Georgia. I have very little from Tajikstan and even less from Turkmenistan. (In Turkmenistan, I discovered from browsing on the Internet today, they are still damaging stamps before selling them at post office counters. 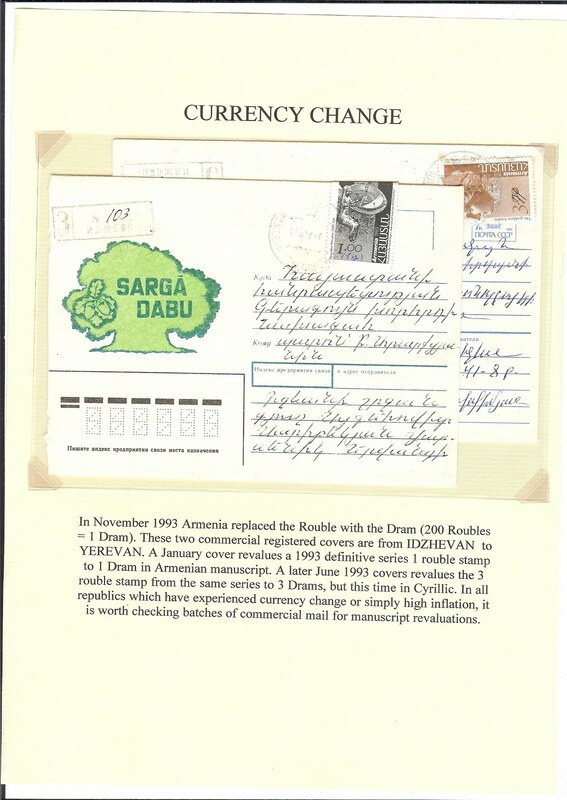 This practice began in the early 1990s.It is done to protect the revenues of official philatelic agencies: private individuals cannot acquire undamaged stamps for resale. The officially damaged stamps used on cover are highly desirable since there is so little commercial mail).